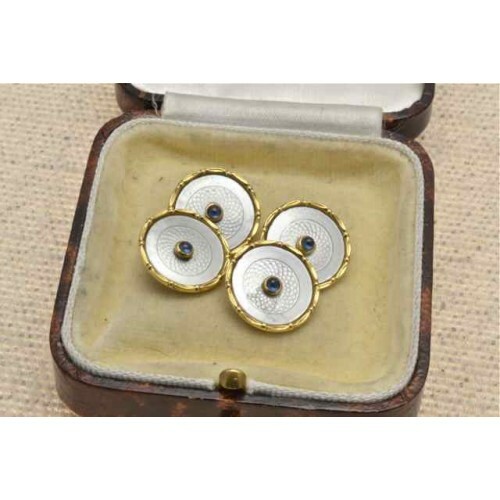 18ct gold MOP and Sapphire set cufflinks. 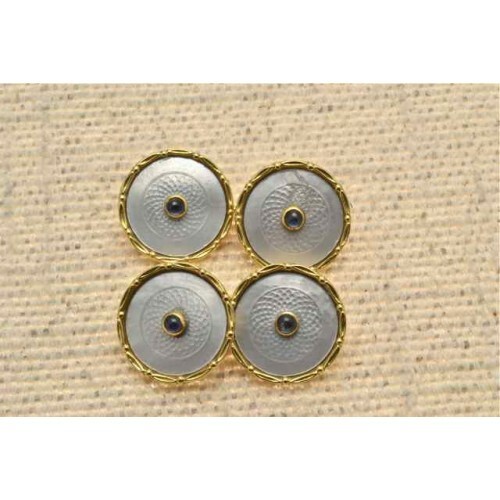 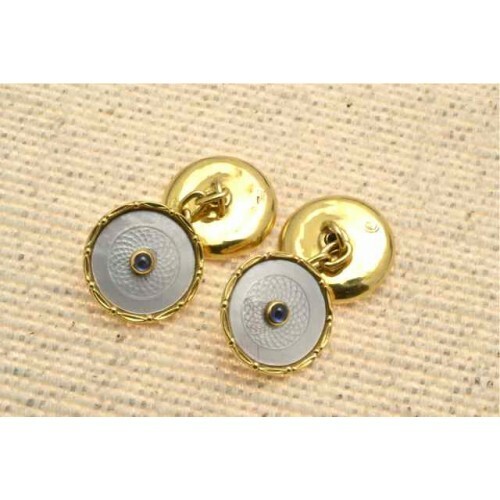 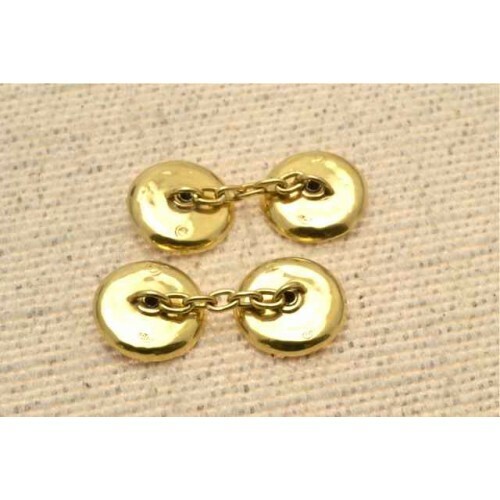 Antique 18ct gold set Mother of Pearl and Sapphire set cufflinks, they are circular in shape with a beaded gold edge, the MOP has an engraved pattern and in the centre of each a cabochon cut sapphire in gold rub-over mount, chain connection. Really beautiful Victorian cufflinks.